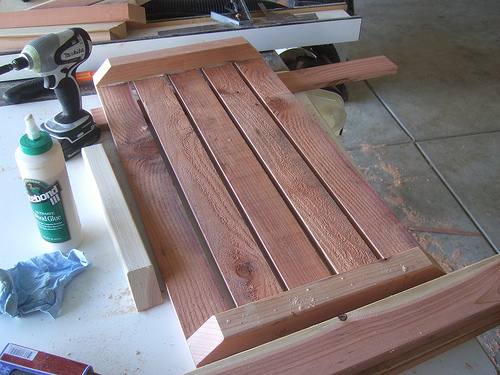 Once again I started working on my list of woodworking projects that my wife wanted me to make. Since we started working on the back yard she wanted a plant stand to put all the potted plants. With the help of some books I got some ideas to make the plant stand. It took me a 10 solid hours to build it but I am glad I was able to finish it in one day. The only thing left to do is to paint it. I will leave this task for my wife to do, because I HATE painting. I think that is one of the main reasons why I have a hard time finishing all my woodworking projects. 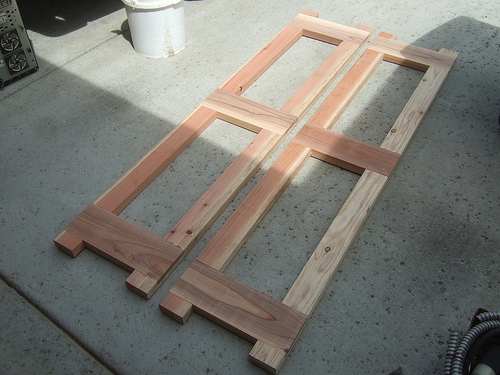 Since this will be an outdoor plant stand I needed wood that could withstand the weathering. The cheapest thing I could find is redwood. The main support made with 2x4 and 2x6. 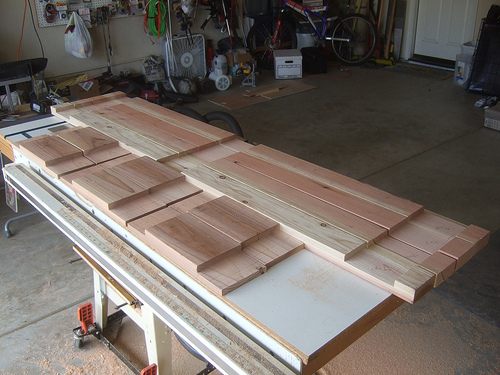 In the picture below you can see I already cut out the lap joints with a dado blade on my table saw. 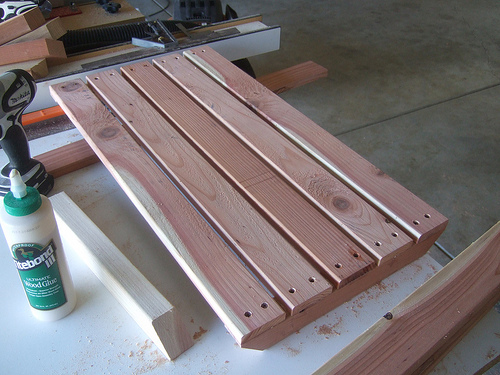 Here is everything assembled with Titebond III water proof wood glue and #8 coated deck screws. 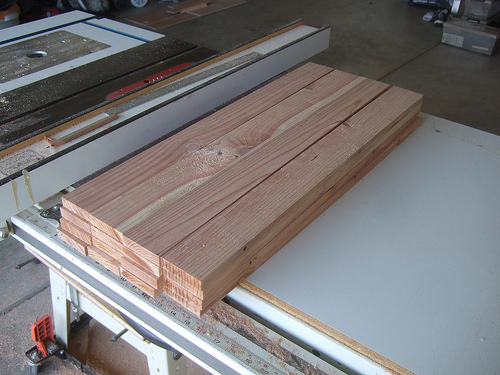 For the shelf I used redwood fence, but the only problem is that the surface is very rough. 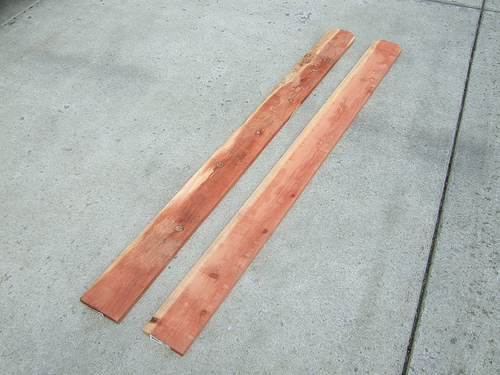 From one strip of redwood I was able to cut two 28”pieces from it. 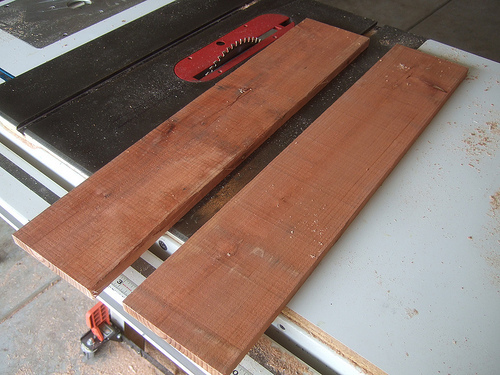 Then I ran it through the thickness planer so one side will be smooth and every piece with be the same thickness. Next I cut each strip in half so I could have more gaps for the water to leak through when the pots are on the shelf. 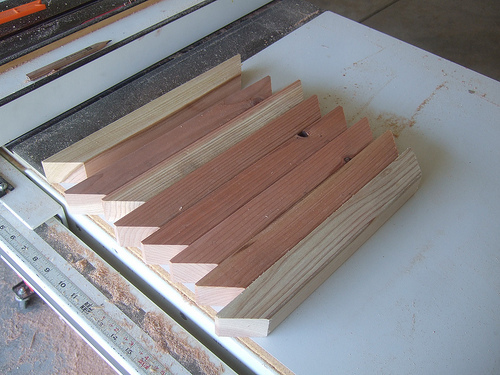 Then I used the left over ends from the 2x4 to make the supports for the shelf. I cut each piece to 15” long. Then I cut them in half so it would not be so wide. 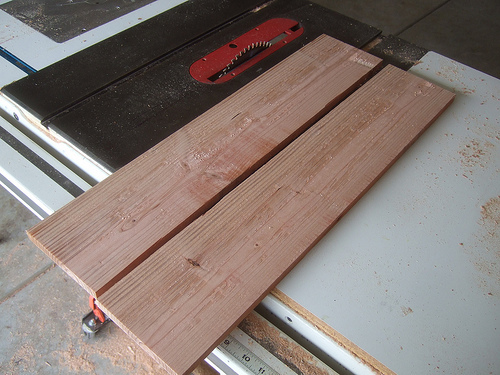 And finally with the miter saw I cut off the corner at a 45 degree angle. 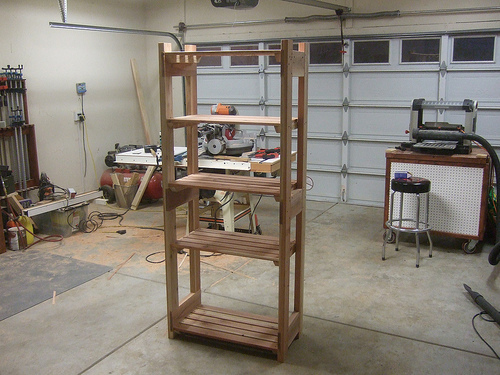 Here is the top and bottom view of the shelf assembled. Once I built all the shelves this is how the plant stand looks like when it is attached to the legs.